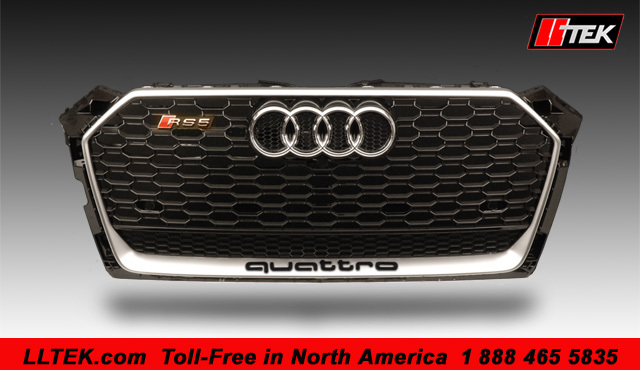 Audi's large (single frame) signature grille (first released in 2005 with the the A8 W12) is a defining moment in brand recognition. 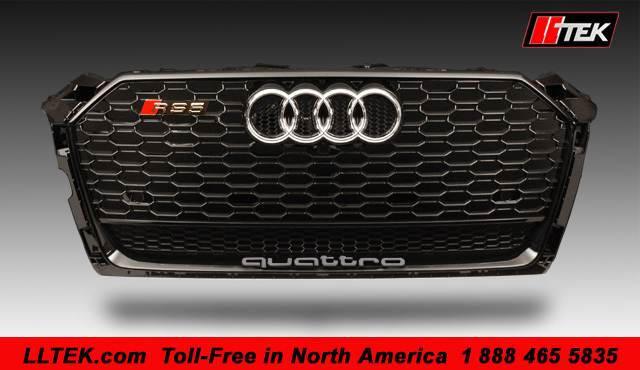 These days, with LEDs in the headlights (another Audi first) and the stalwart and iconic "4 rings" making the "Audi look" unmistakable; it all adds up to the envy of the auto industry with competitors shaking their heads and asking themselves - "Why didn't I think of that?" It would seem that competitors who follow will often ask themselves this question or some variation of the "I-am-kicking-myself-forever" syndrome. If calling from outside North America - LLTeK can be reached at 001 514 733 6333. 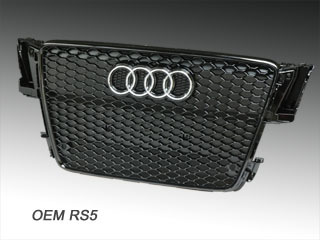 We'll take your questions on all our aftermarket parts for Audi and provide you with answers you can take to the bank. 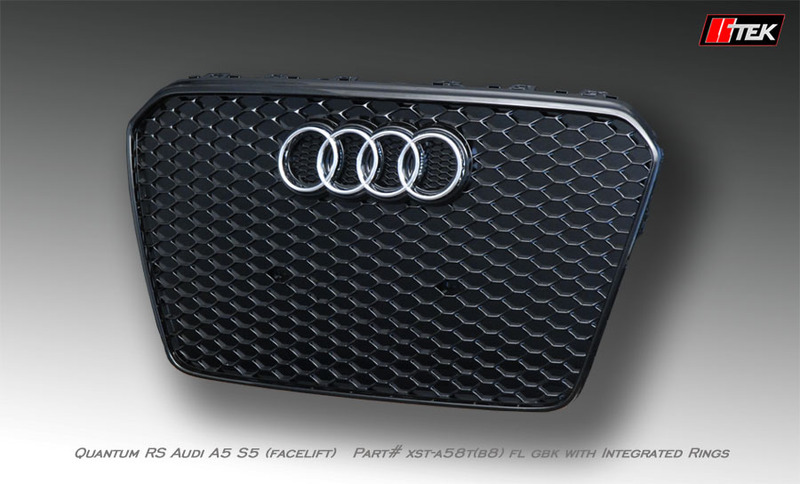 LLTeK has been offering aftermarket grilles and badging since forever - our first printed catalogue featured a Kamei grille for the original Audi A4 B5. That was 1996, and although a lot has changed since then - as the saying goes - much has remained the same. 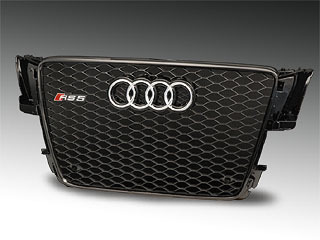 Upgrades to grilles have consistently figured large for Audi tuners and with that experience, LLTeK is pleased to present more choices for Audi owners regardless of which model you're pushing through the curve. Questions? 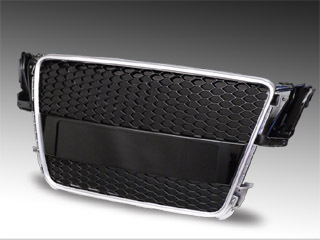 Each and every grille offered here at LLTek is different - and each will present unique characteristics; our Sales Reps know the details (i.e. one size does NOT fit all) and will be happy to help you navigate / sort through the product line so you can purchase with confidence minus any surprise. We are expecting your call and we are ready to answer your questions. 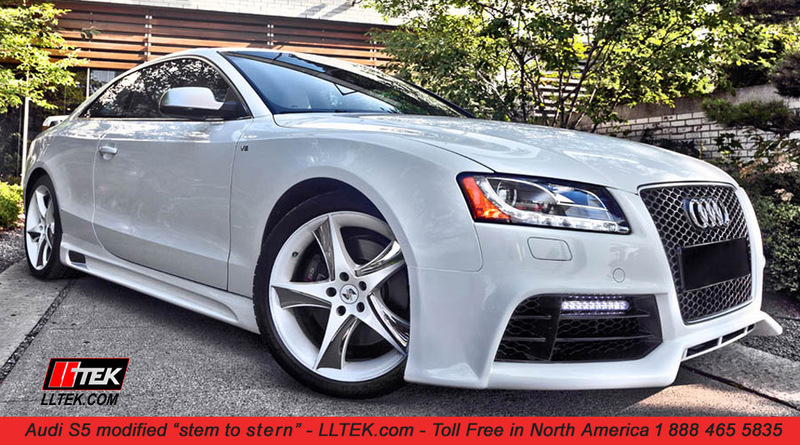 2 years ago, LLTeK celebrated 20 years of business dedicated to modifying German cars; call at the time that is most convenient for you - LLTeK's business hours are 8:30 AM to 5:00 PM ET (GMT -5), Monday through Friday and phone calls are toll-free in North America 1 888 465 5835. International callers can reach LLTeK at 001 514 733 6333. 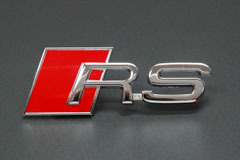 One call and your car is one step closer to RS styling. We have customers that have completed these grille projects in their driveways. Yes, they had tools and could be called "enthusiasts", but they were not skilled mechanics or body shop experts. 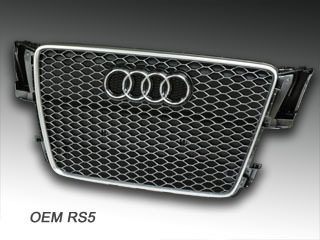 If you're not comfortable around cars or you don't want to invest in the never-ending acquisition of tools, any body shop or Audi dealer can swap these grilles out. Yes, you can complete this at home with a few tools and a friend or two. We've seen it done by individuals who are determined and diligent. 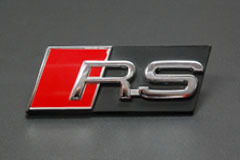 On the other hand, if you are not the least bit mechanically inclined or have shown impatience when you're around tools - OR - you just have zero interest in do-it-yourself modifications, the good news is that virtually any shop (and that would include your Audi dealership) can get the OEM pieces off and the new ones on without breaking a sweat. 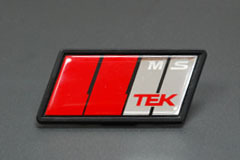 © Copyright LLTEK Motorsports. All rights reserved. The contents of this website are protected by international law - unauthorized use of any part of this website is forbidden.